People Come, And People Go. But there are some who stop a moment to see the grandeur present. 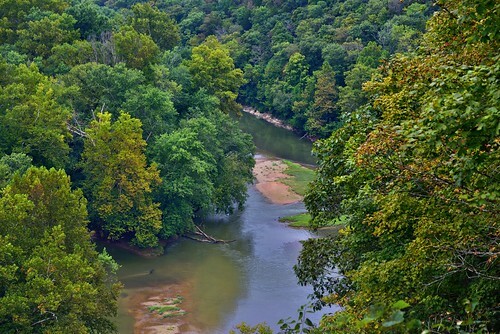 Another work of short poetry or prose to complement the image captured one afternoon in Mammoth Cave National Park from a scenic overlook of the Green River. WIth other images captured at this point, I pulled back on the focal length as I wanted to have that wide angle view one might typically just soak in. Here I zoomed in to an opening through the forest with the Green River. While overcast that afternoon, I was able to work with some control points and a Skylight CEP filter to bring out more of a setting as if caught in the light of the afternoon sun.